It’s time for people to start attributing the success of the Ducks to the big guys on the offensive line. Last year, all of the success that Marcus Mariota had was due to the protection his offensive line was giving him. 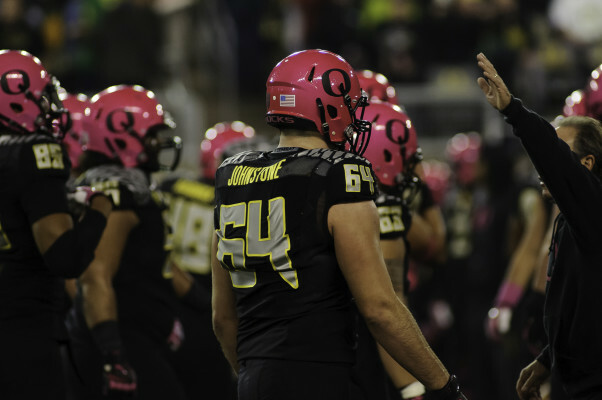 With a new quarterback to replace Mariota, and a running back tandem that rivals the best in the country, the offensive line holds the key to the Ducks’ success in 2015. Getting Johnstone back is huge for the Ducks. The Ducks will have two offensive linemen in the upcoming NFL Draft – Jake Fisher (left tackle), and Hroniss Grasu (center). Replacing these guys will be no easy task, but Offensive Line Coach Steve Greatwood has shown that making things happen is his specialty. If I had to take a shot in the dark, and guess the starting offensive line unit come Week 1 this Fall, I would say it would be the following: Tyler Johnstone (left tackle), Jake Pisarcik (guard), Doug Brenner (center), Matt Pierson (guard), and Tyrell Crosby (right tackle). The shining star of this group is Johnstone. Before last season even started, Johnstone underwent double knee surgery, ultimately putting him on the shelf for the entire year. The prospect of not having Johnstone on the line did not look good, but thanks to stellar play by Fisher and outstanding work by Crosby, the Ducks didn’t take too many steps back. Having Johnstone back gives the Ducks that needed experience on the line, mixed with unmatchable talent and drive to succeed. The quarterback situation is still very much up in the air. Whoever wins the starting job will have a great group of guys protecting him. The one position that nobody questions is running back. With the tandem of Royce Freeman and Thomas Tyner, we might be looking at one of the most dynamic Duck offenses in recent history — Yes, this offense will be incredible!! The Spring Game (May 2) is only a few short weeks away. 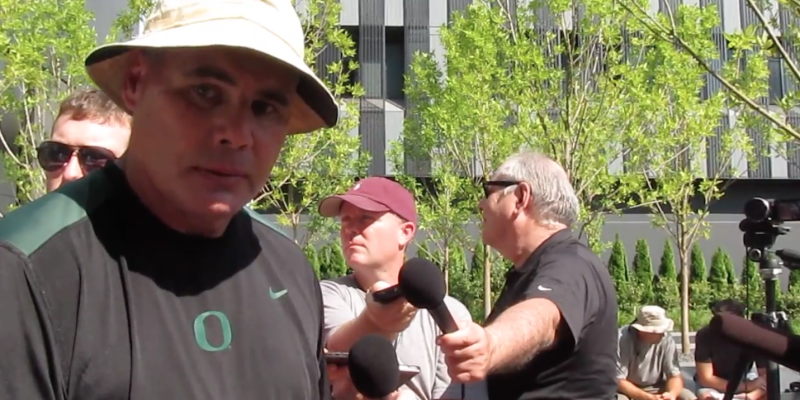 FishDuck.com is your go-to place for the latest in Oregon Ducks’ news and updates.